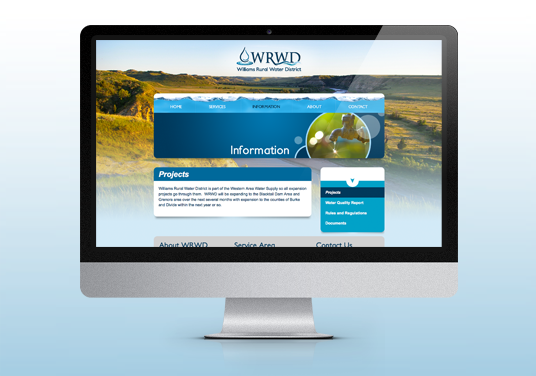 Williams Rural Water District built a new facility and with that wanted a new start to their identity. 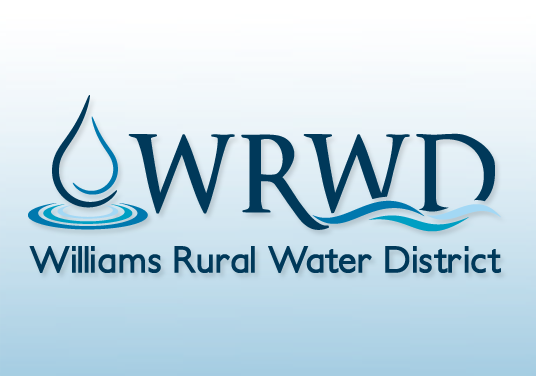 We worked with WRWD to create a logo mark and icon to help establish the organization and make the logo easily recognizable on signs, collateral and promotional materials. 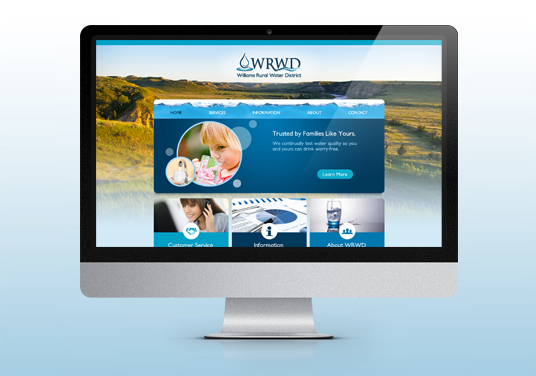 After we finished the logo we created a clean, simple, user-friendly website that would allow users to access pertinent information such as payment options, rate information, water quality report and more.